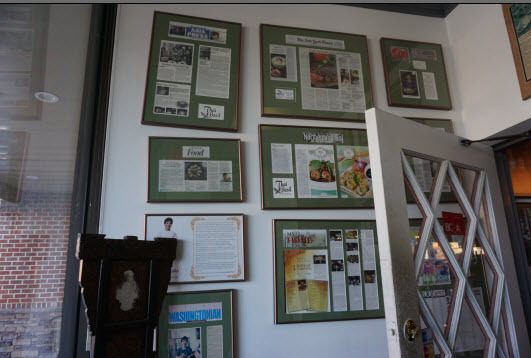 One sunny Sunday afternoon, I stumbled upon this Northern Virginia gem – a hole-in–the–wall called Thai Basil Restaurant. It proved to be an authentic Thai restaurant serving both traditional and southern Thai dishes. The restaurant is owned by the talented Executive Chef, Nongkran Daks, who beat Chef Bobby Flay in a Pad Thai competition on the Food Network program Throwdown! in 2009. Daks was born and raised in Southern Thailand. She was exposed to cooking at the age of 7 and the very first thing she learned to do was pound curry paste. Since then, she has taught in Hawaii, DC, China, Laos, Taiwan, and Thailand and ran a snack bar in Bangkok serving Asian and Western style dishes. Despite her experiences throughout Asia, Daks strives for maximum authenticity in every Thai dish from start to finish. She wants her customers to appreciate the taste of true Thai food. 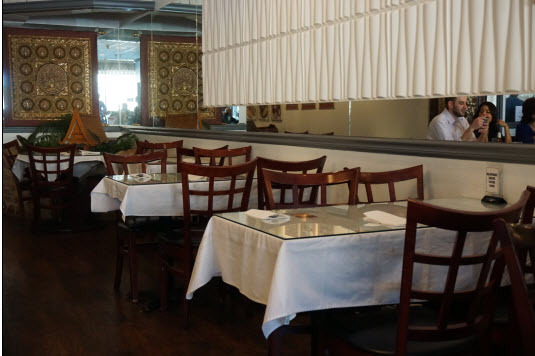 ​Thai Basil restaurant has been featured in many articles – New York Times, USA Today, the Washington Post, Washingtonian magazine, Zagat, and AOL – among others – earning the government of Thailand’s “Thai SELECT” certification in 2001 & 2007. For those who are not familiar with the Thai SELECT program, it aims to certify and promote authentic Thai cuisine worldwide. For Daks it proves her restaurant serves authentic Thai food. Yet despite all accolades, any first time visitor will immediately take notice of the restaurant’s simple décor with its Thai artifacts, palm leaves and bamboo woven hats hanging above the mirrors and framed photographs of Thai Royal Family as well as Daks’ own family and friends. After being seated in the dining room, we ordered Thai iced tea while browsing over the menu. 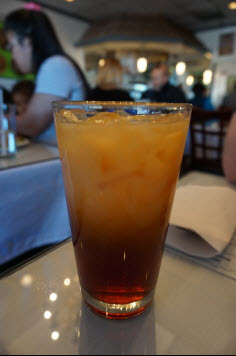 This Thai Iced Tea was a pleasant blend of loose leaf red tea with sweetened condensed milk. For appetizers, I recommend sharing ‘Goong Hom Pha’, also known as Shrimp in a Blanket. 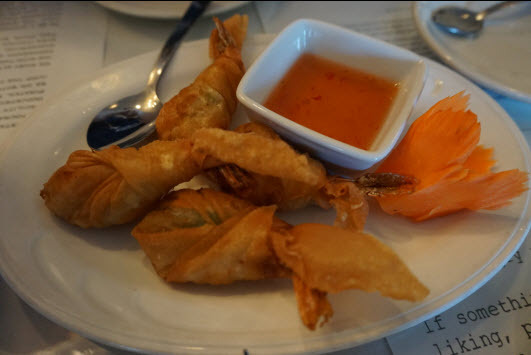 It consists of crispy filo dough filled with jumbo shrimp marinated in oyster sauce, sugar, minced garlic and fresh coriander. It is then wrapped and sealed with egg yolk before deep-frying. The finished product is a cross between a spring roll and crispy wonton, to be dipped in sweet and sour Thai chili sauce. Each Asian country has their own way of preparing stir-fried noodle dishes. In every authentic Thai noodle dish, there’s a nice balance of flavors and textures (e.g., sweet, sour, salty, and spicy). 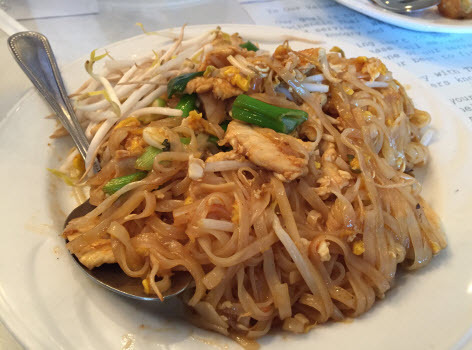 The most popular dish at a Thai restaurant would be ‘Kway Teow Pad Thai’ a type of stir-fried rice noodles. I was a bit surprised to learn that Pad Thai may have originated from China as ‘Kway Teow’ meaning rice noodles in Chinese and ‘Pad’ translating to stir-fried in Thai. Thai Basil’s Pad Thai uses medium rice-stick noodles, chopped garlic, dried shrimp, chopped salted radish, bean sprouts, eggs, chopped scallions, your choice of protein (shrimp, tofu, chicken, beef or pork), lime, palm sugar, fish sauce, tamarind sauce, vegetable oil, and crushed roasted peanuts. The dish is very fragrant and full of color and flavor and the rice noodles soft and moist. Bean sprouts and scallions provide an occasional crunch to the dish. The protein gives the dish texture and the palm sugar serves as a natural sweetener while acting as a thickener. The tamarind sauce had just five ingredients – tamarind juice, palm sugar, water, fish sauce, and a dash of salt. Since it takes at least an hour to prepare the noodles and Pad Thai sauce, Chef Daks prepares these items in bulk in the morning before the start of business. After these items are prepared, she warms up oil in a pan, adding various ingredients (garlic, dried shrimp, salted radish, protein) to give the oil an array of flavors. After removing the protein, she adds the ready-to-cook noodles and water, stirring to ensure the noodles are somewhat separated. After the noodles are done, she returns the protein to the pan, frying an egg, mixing everything together and adding the scallions and bean sprouts to the pan. The finished dish is garnished with a lime wedge and bean sprouts. This is a most delicious Pad Thai…the preparation and years of training come across with every bite. If you are in the neighborhood, give it a try! Samantha Lee has been a foodie since the day she was born. Growing up, her grandparents owned Tung Bor Chinese Restaurant, the first dim sum restaurant in the DC area. In her free time, she loves to bake and cook. 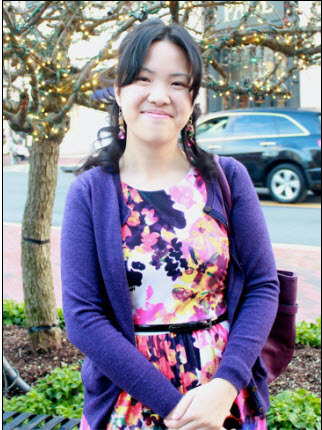 As a student at American University, she sold her baked goods (e.g., brownies, cheesecakes, cookies, and cupcakes) on campus. Since then, she has expanded her culinary knowledge and skills by enrolling in many DC area cooking classes when she learned from local greats including Amy Riolo, Robyn Webb, Marie Ostrosky, Mike Isabella, George Pagonis and Spike Mendelsohn. She has been blogging about food via Yelp since October 2014.